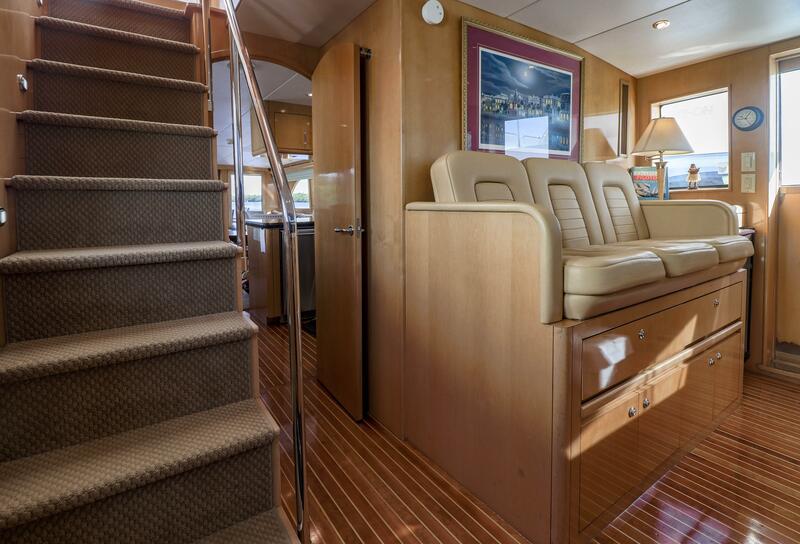 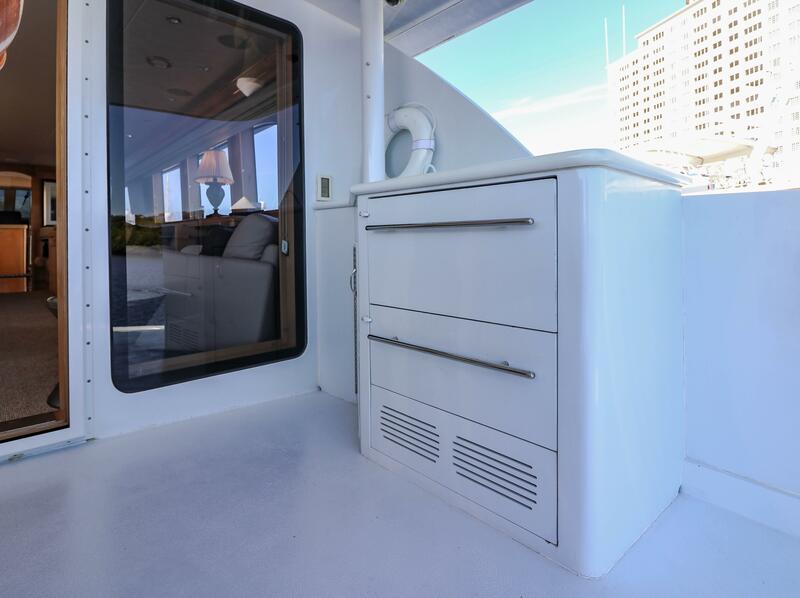 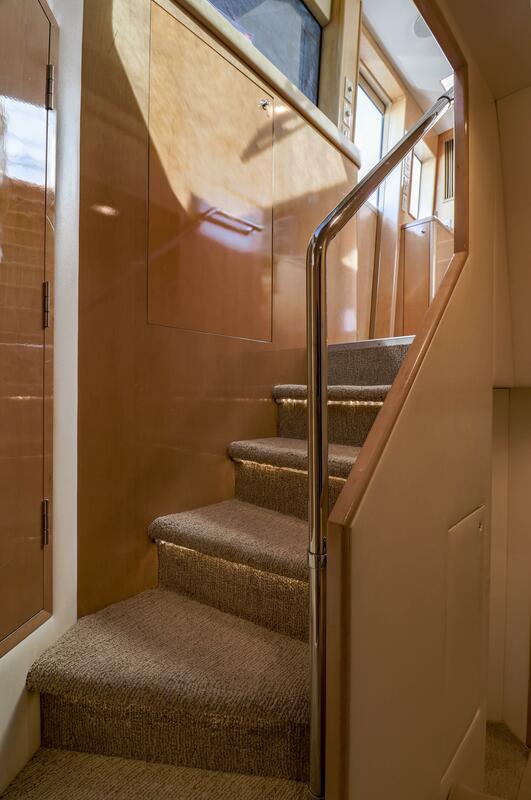 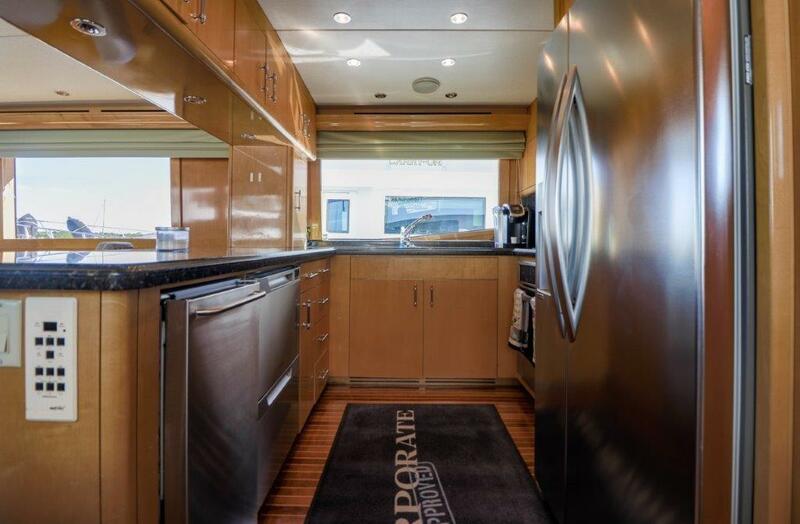 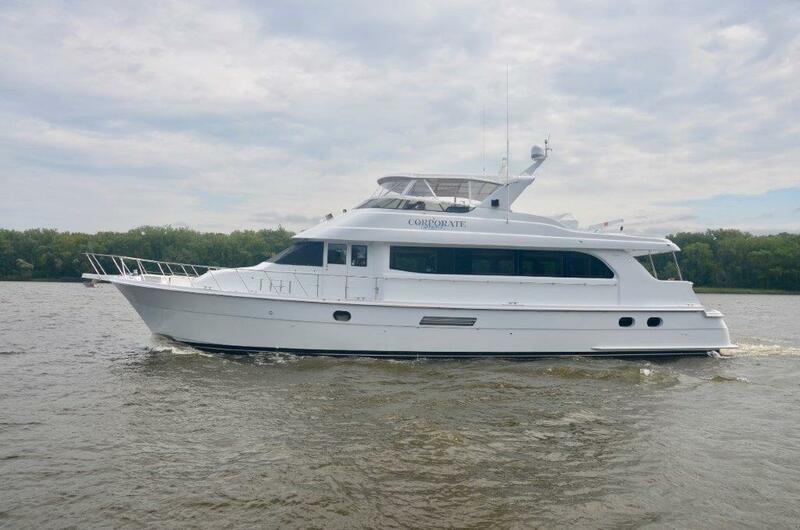 2002 Hatteras 75 MOTOR YACHT "Corporate Approved"
“CORPORATE APPROVED” is a 2002 75’ HATTERAS MOTOR YACHT with the desirable five stateroom and five head layout with high gloss maple interior. 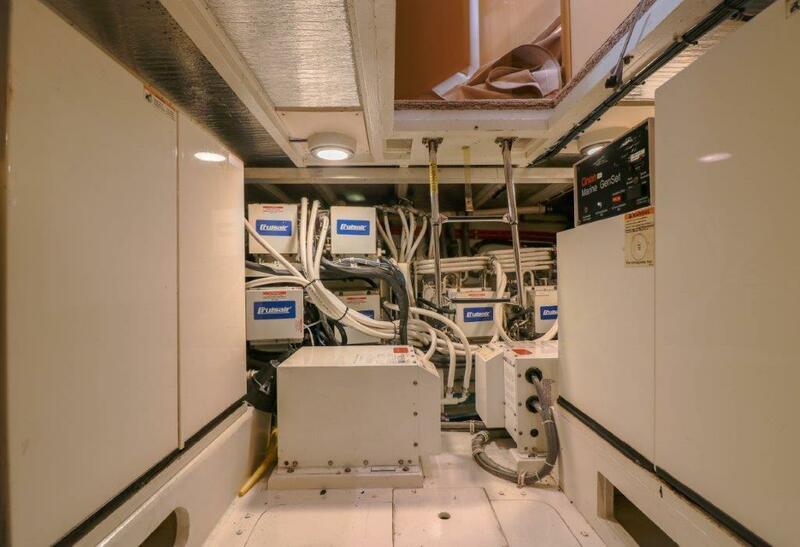 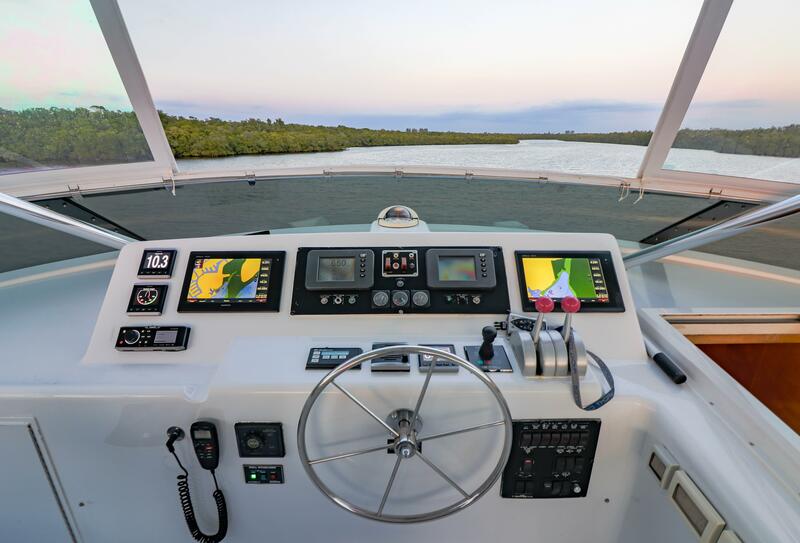 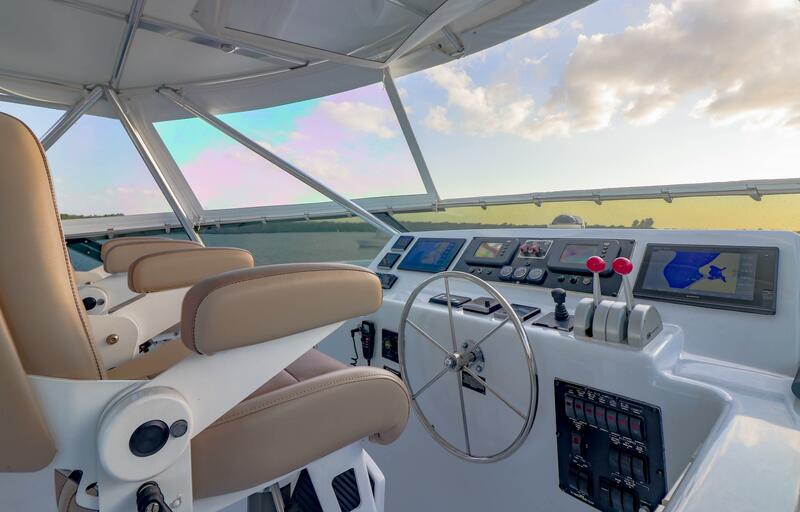 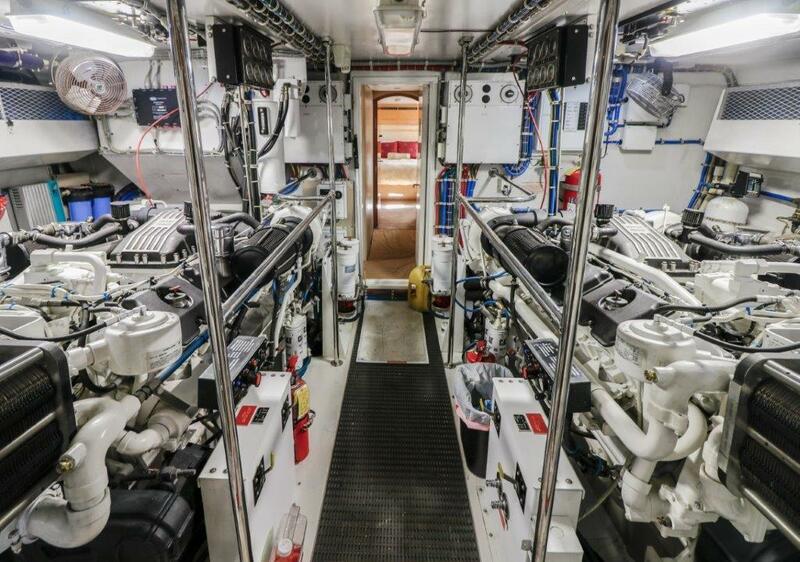 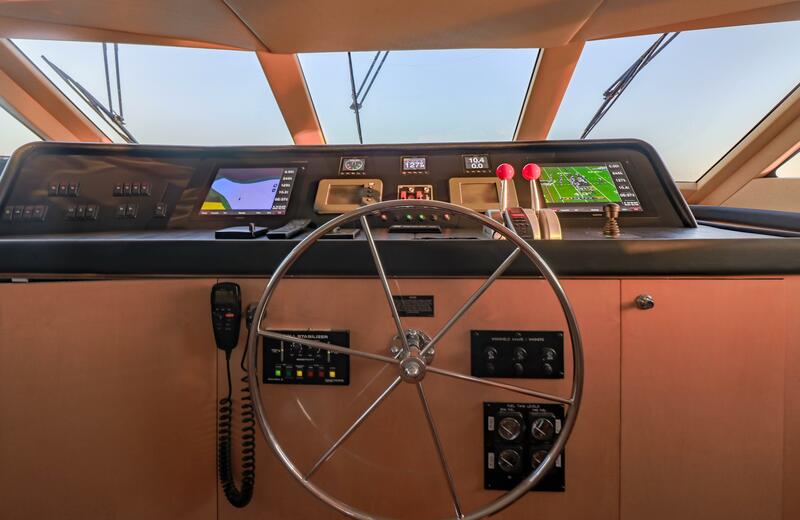 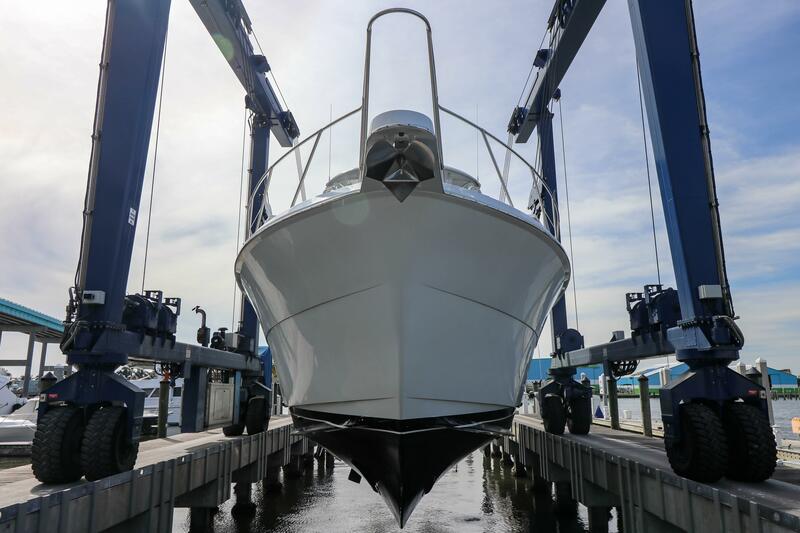 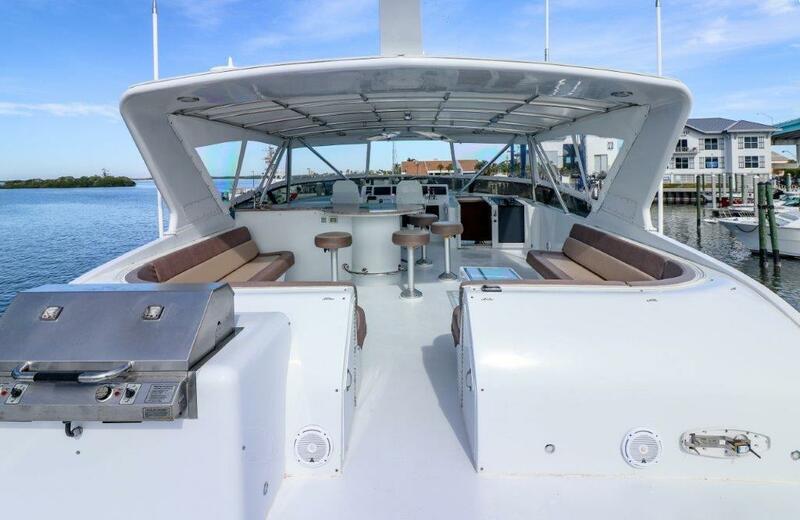 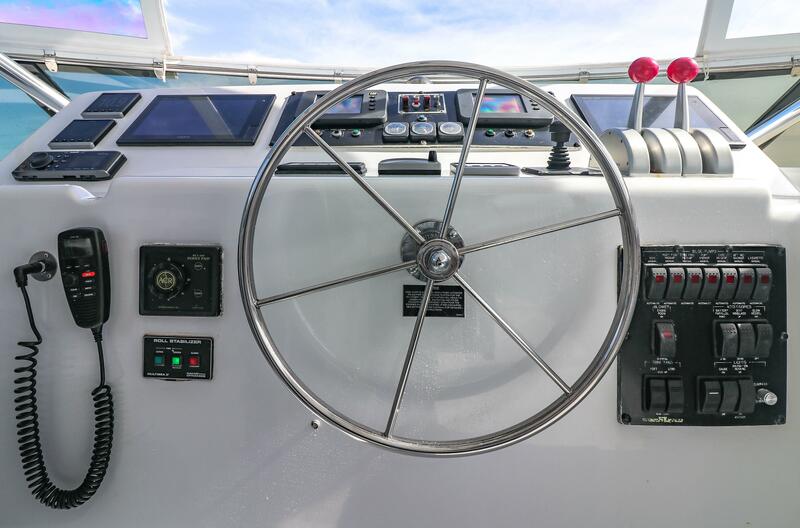 The current owners have updated & upgraded this vessel extensively and allows a new owner the opportunity to step in to a HATTERAS without having to spend excessive time and money to do what has been done already. 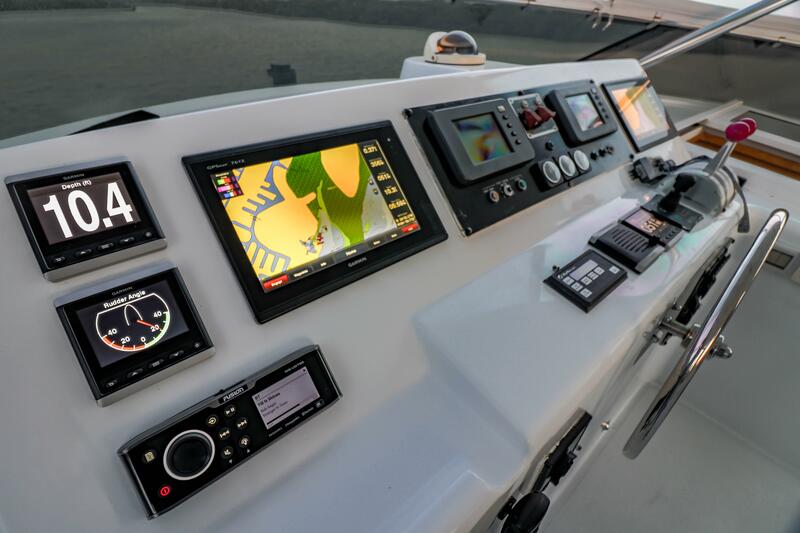 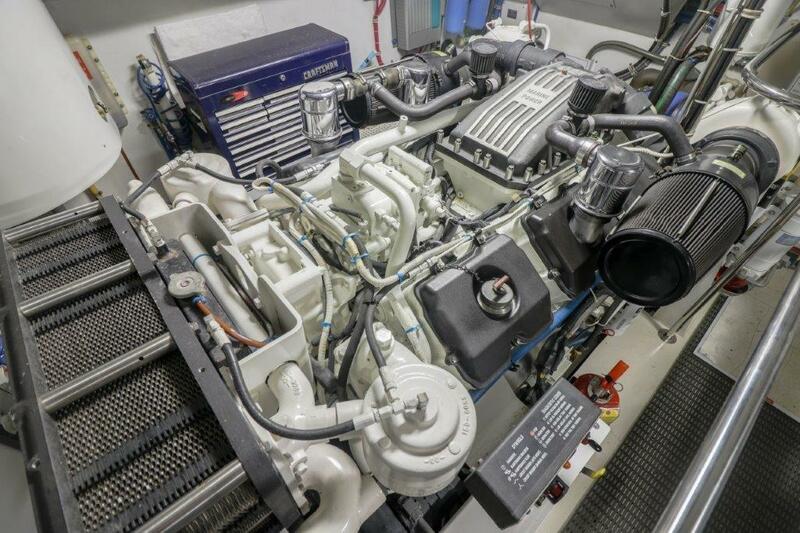 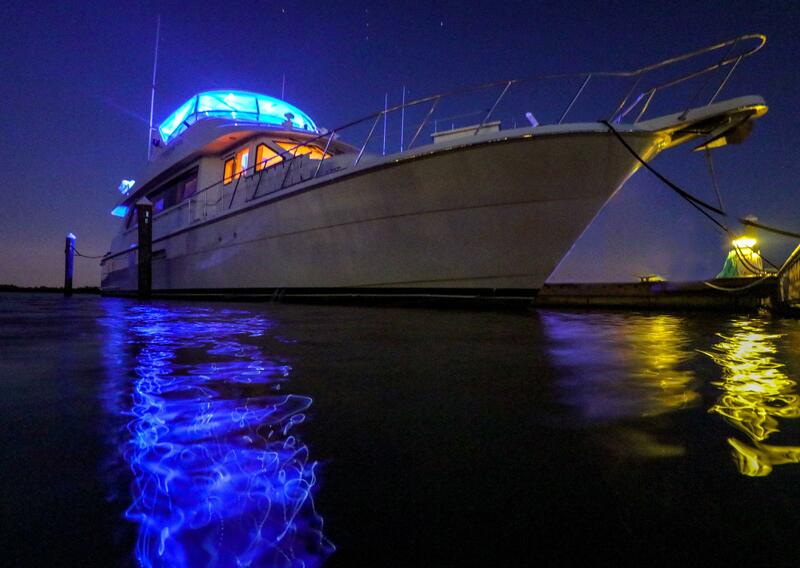 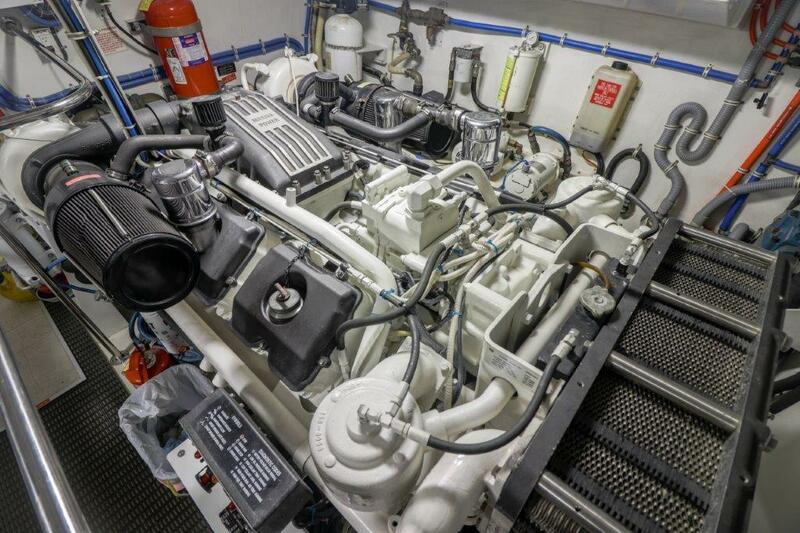 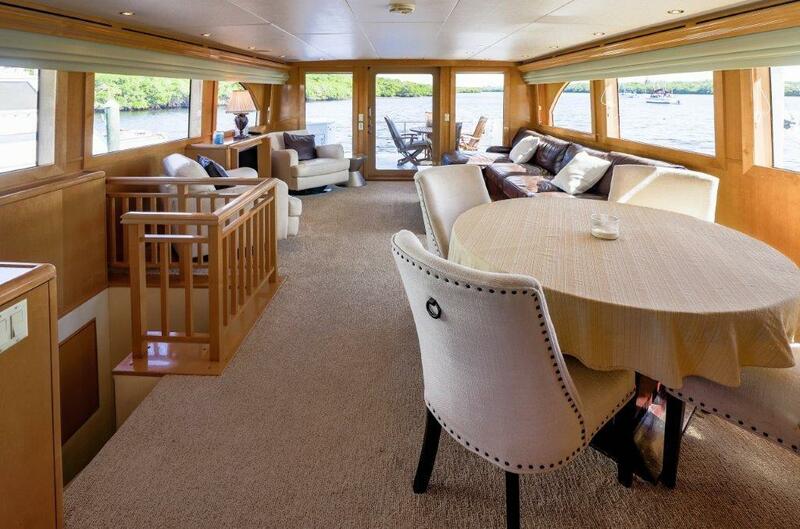 She is powered by reliable 3412 Caterpillars and cruises comfortably at 22 knots. 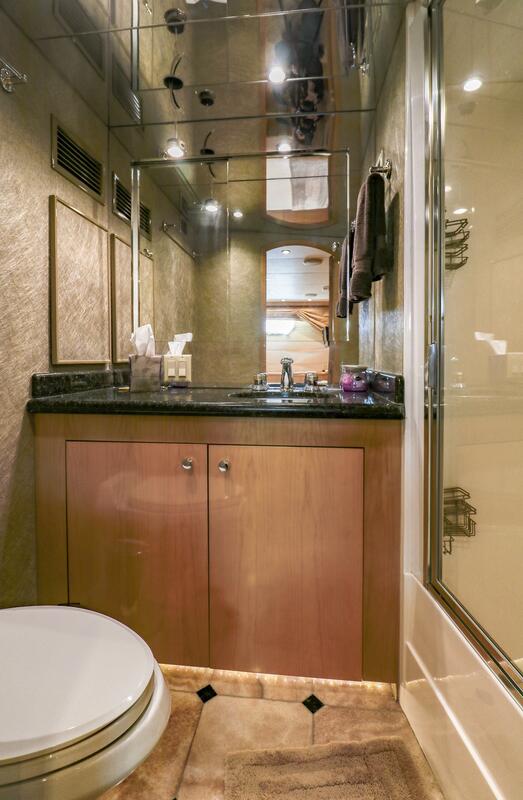 "Corporate Approved" accommodates up to ten guests in a five stateroom arrangement. 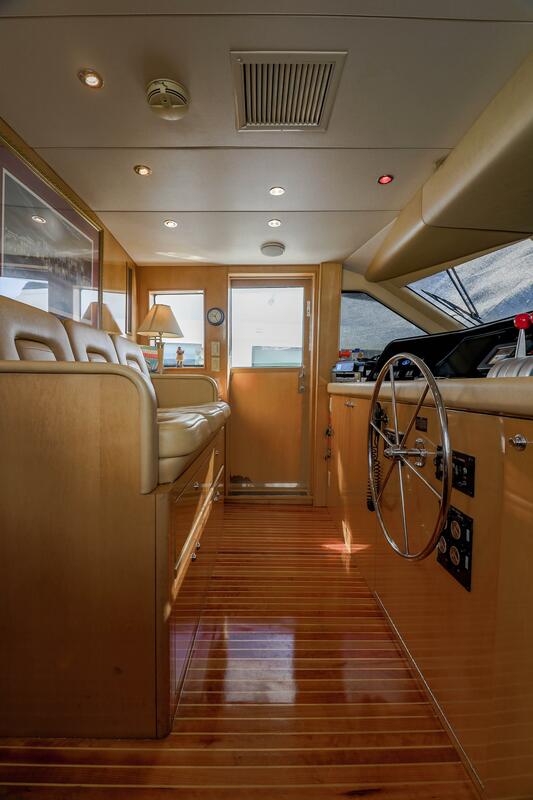 Her interior features a custom interior with maple woodwork throughout. 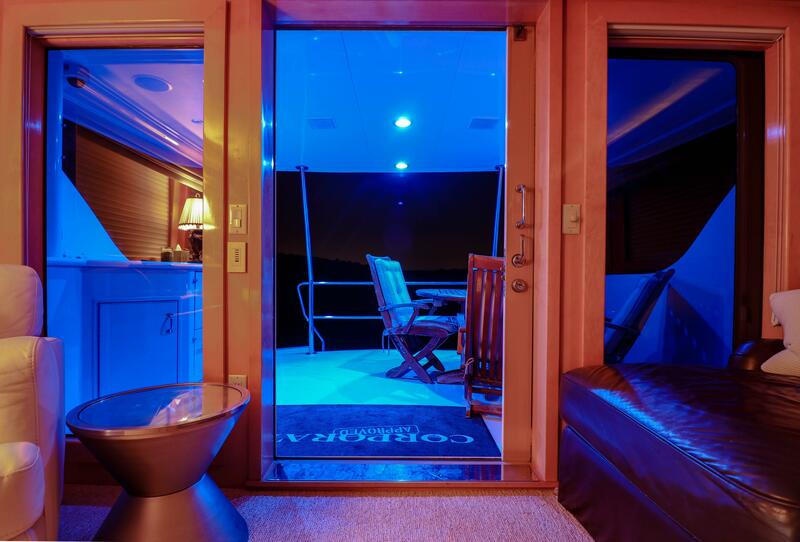 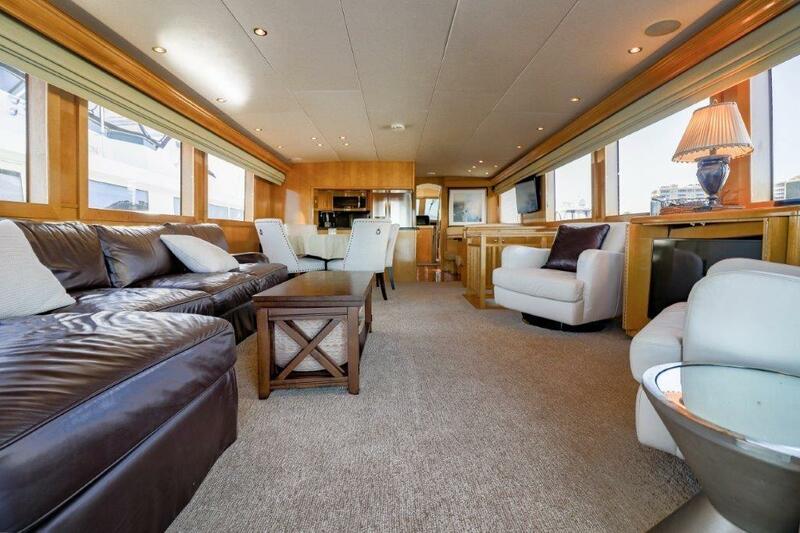 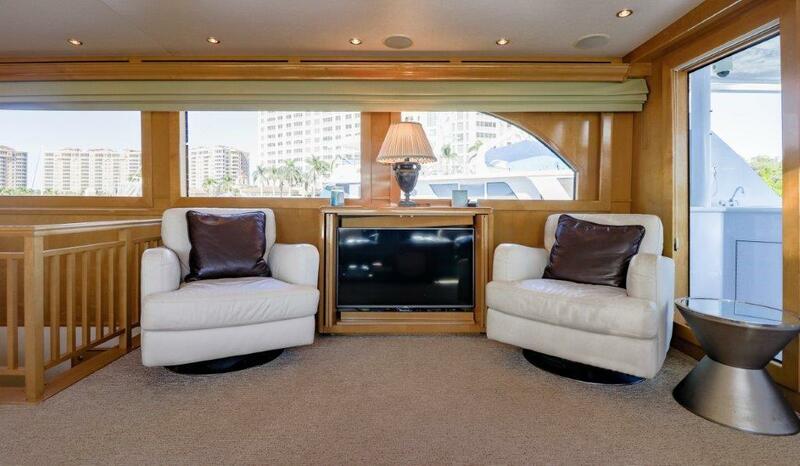 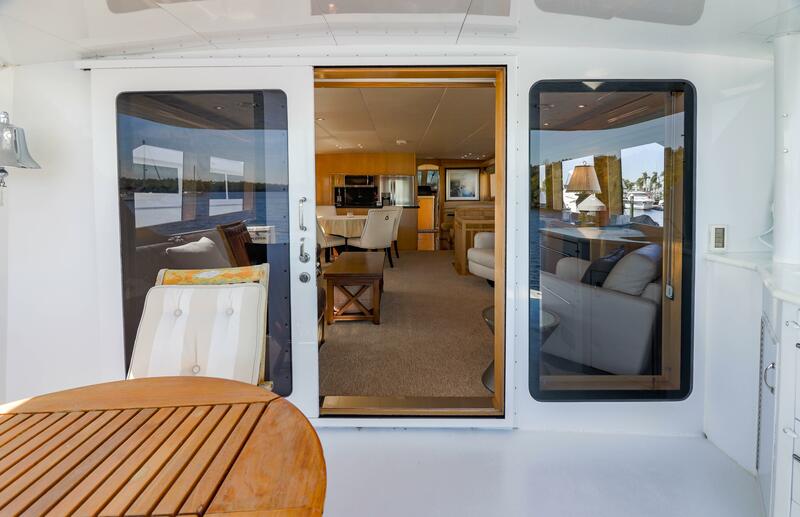 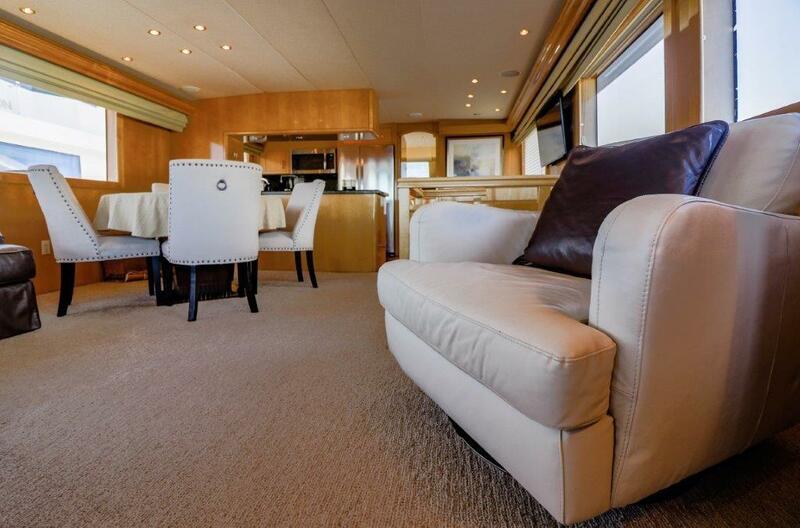 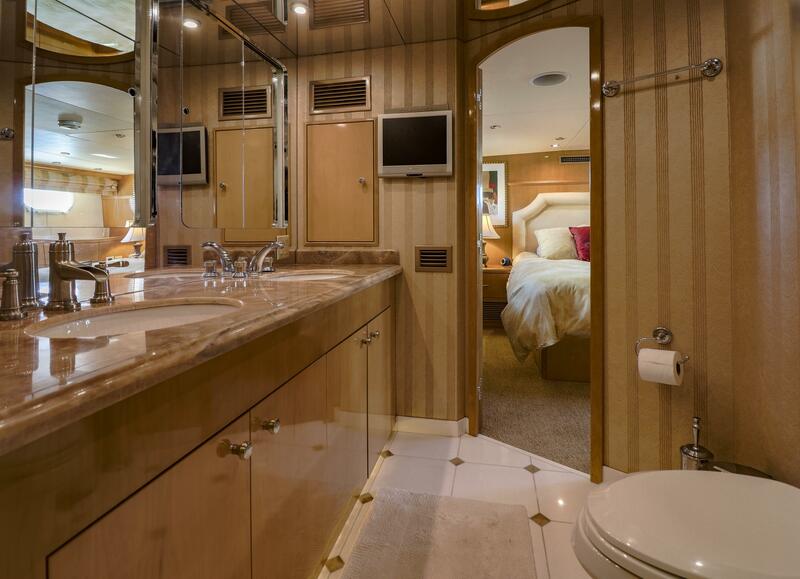 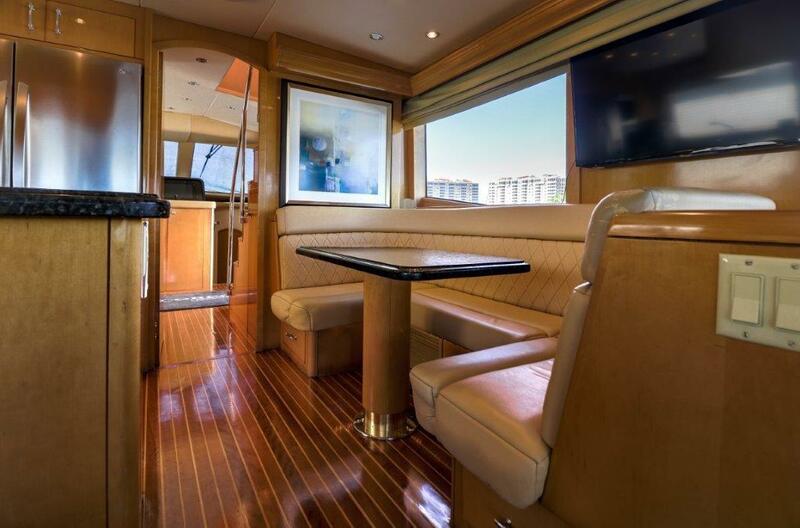 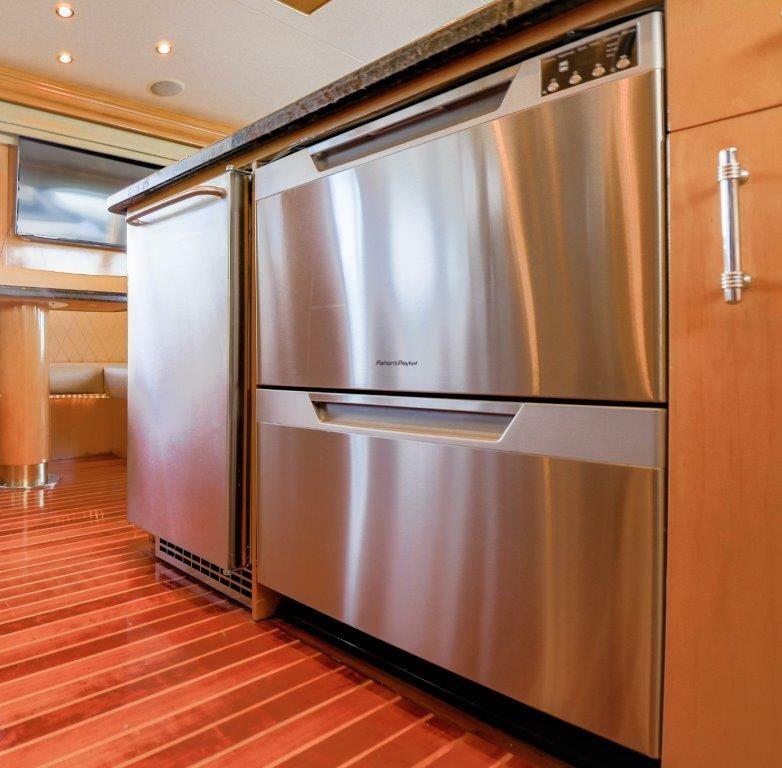 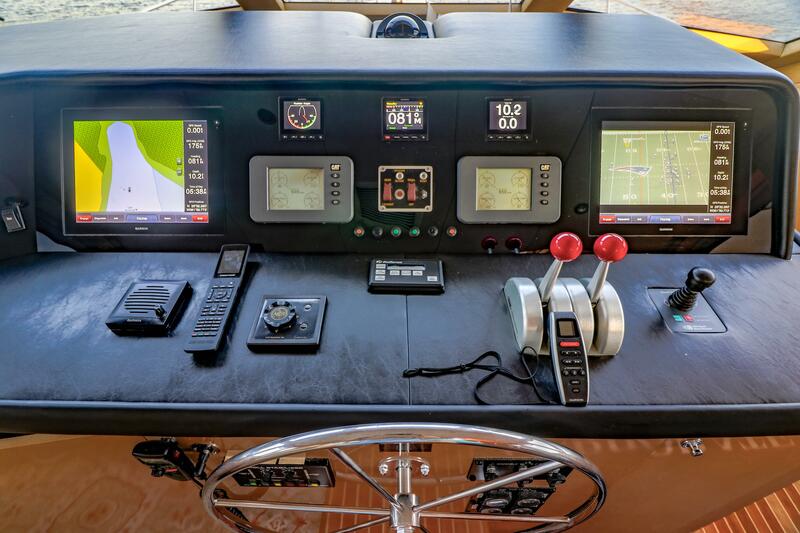 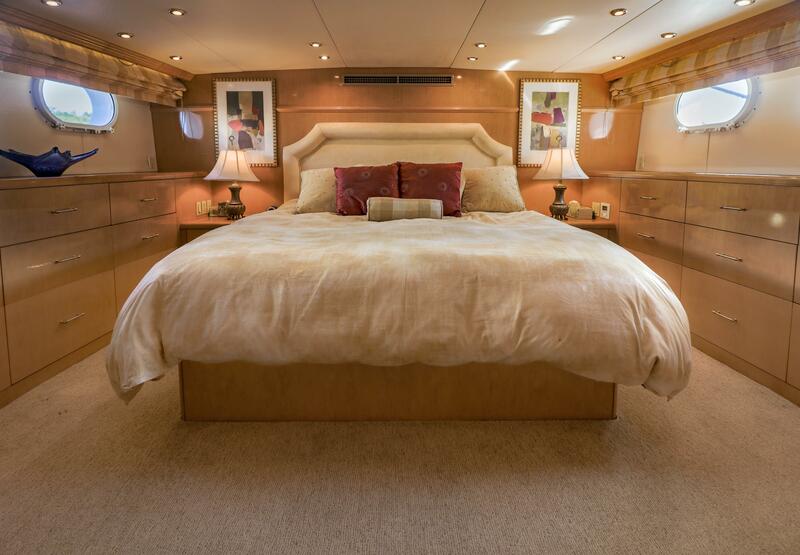 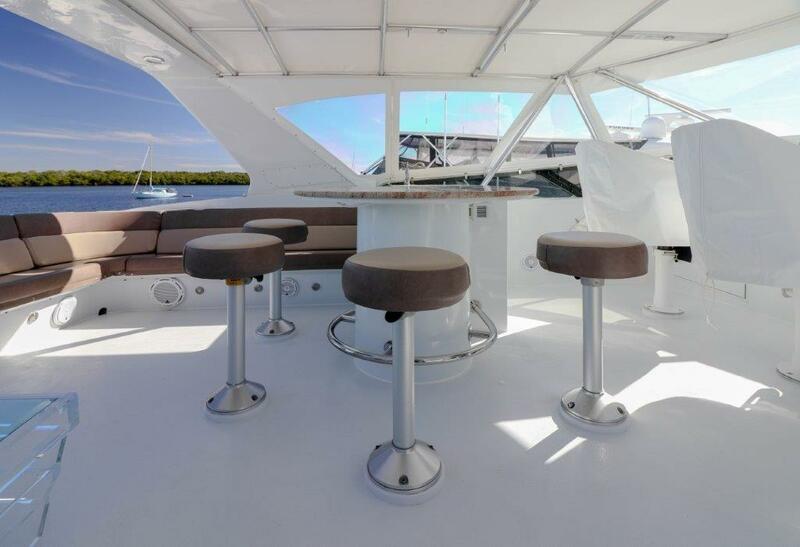 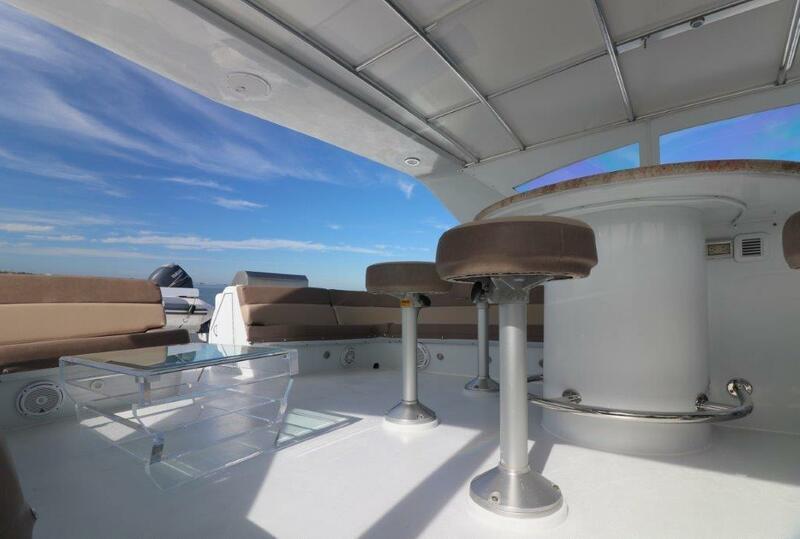 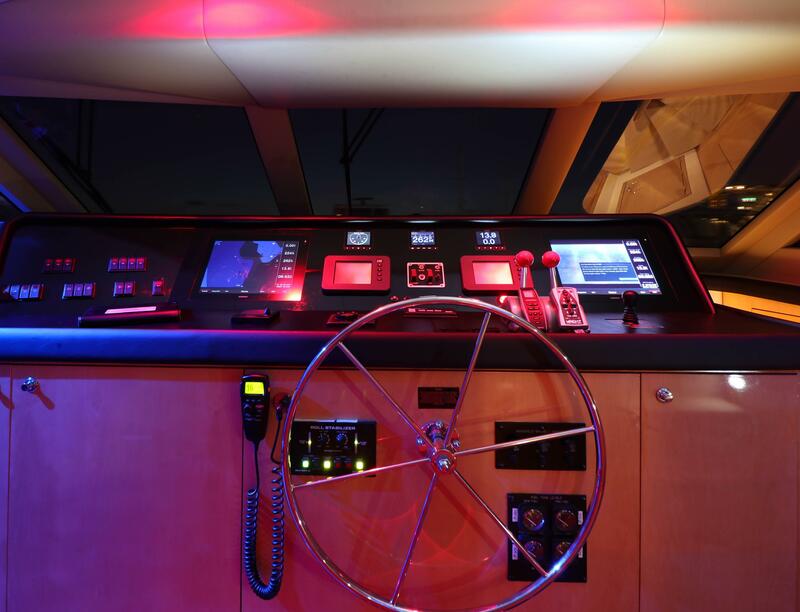 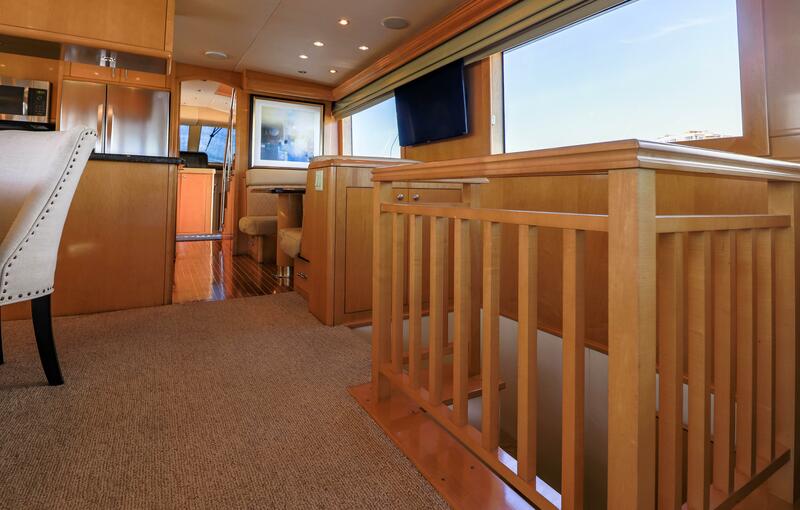 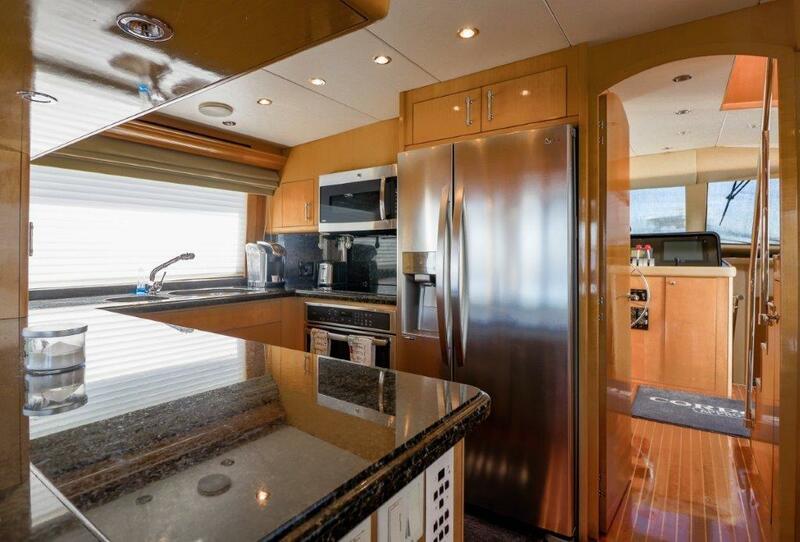 The layout includes a spacious salon, open galley with dinette, aft deck, cockpit and large flybridge. 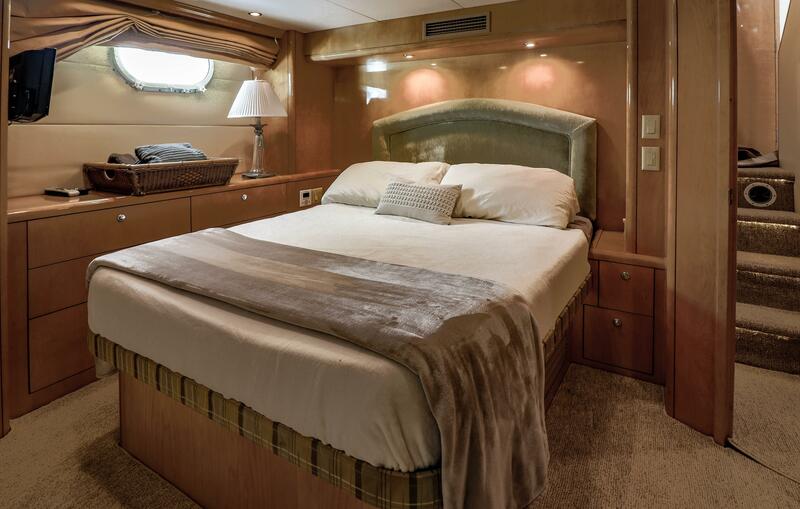 A private entrance to the aft Master stateroom features a King size bed, large private bath with a newly updated custom shower. 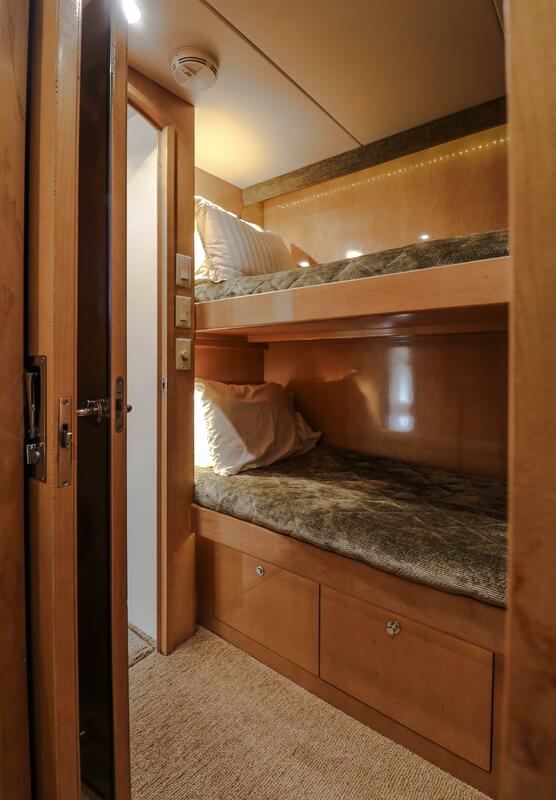 Forward of the master is the fifth guest stateroom with over/under twin berths and a private head. 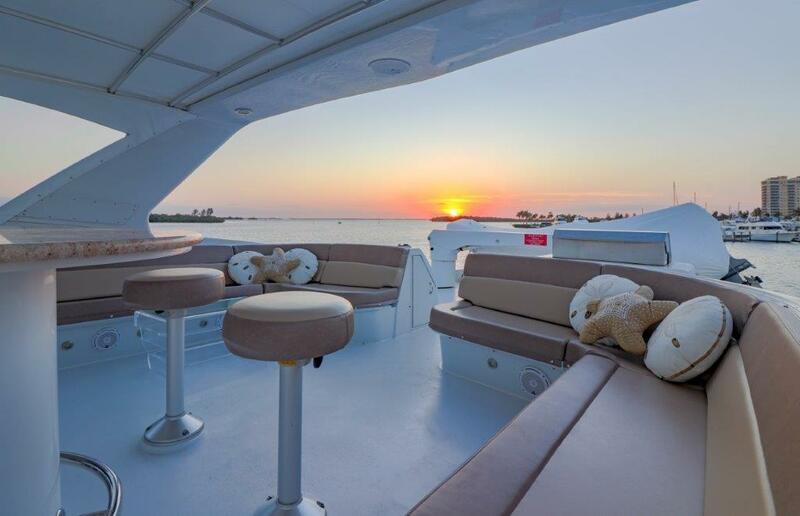 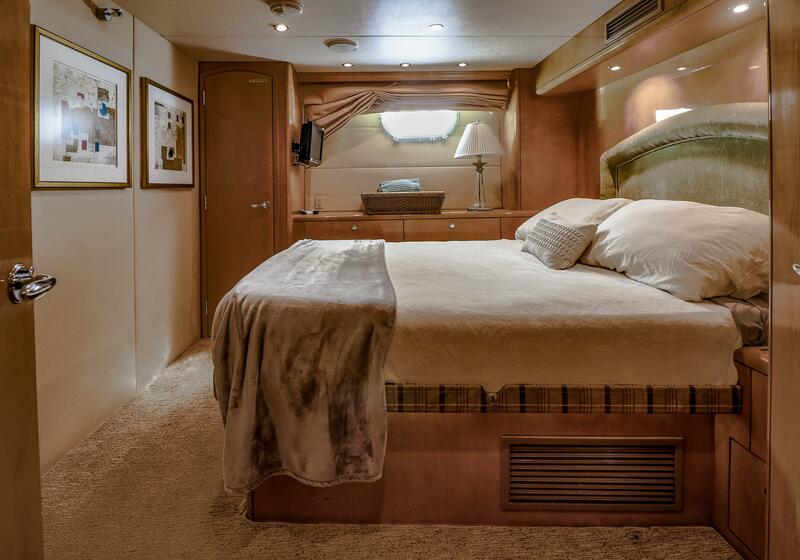 Midship is a VIP stateroom with walk-around Queen bed, private bath with shower stall. 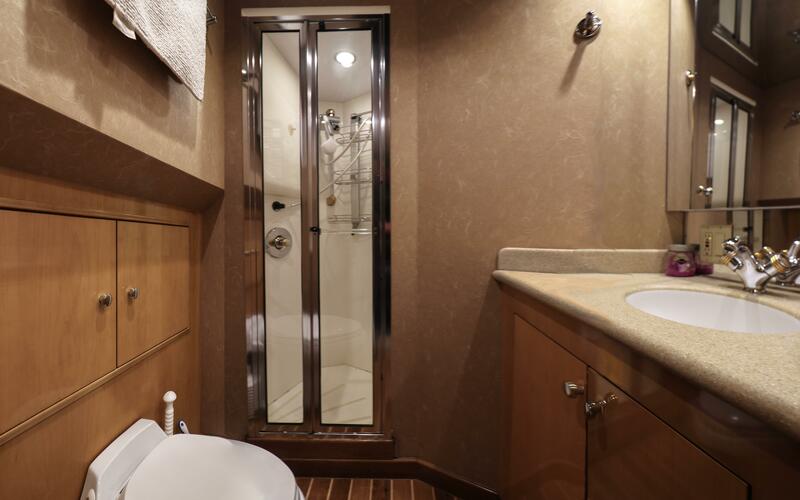 An additional VIP stateroom is located in the bow with walk-around queen berth and access to bath with shower. 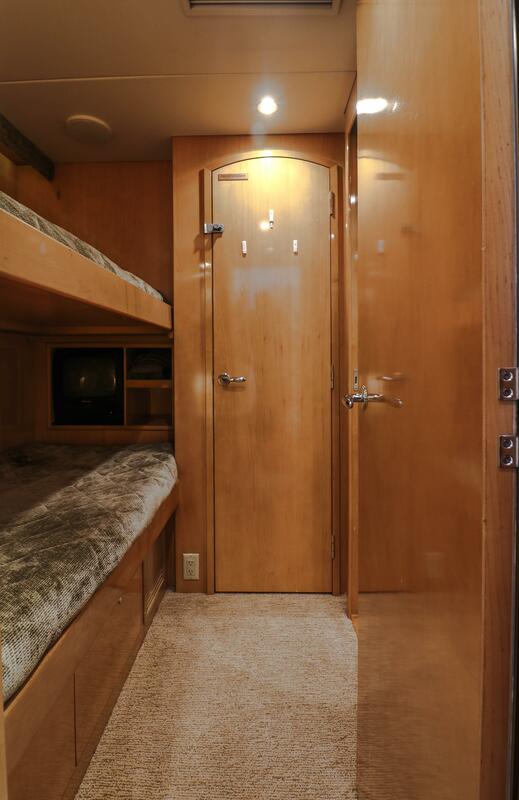 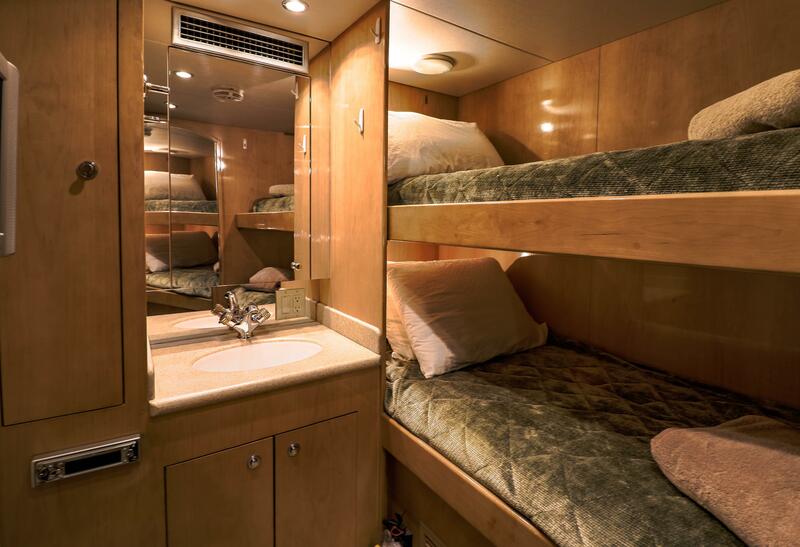 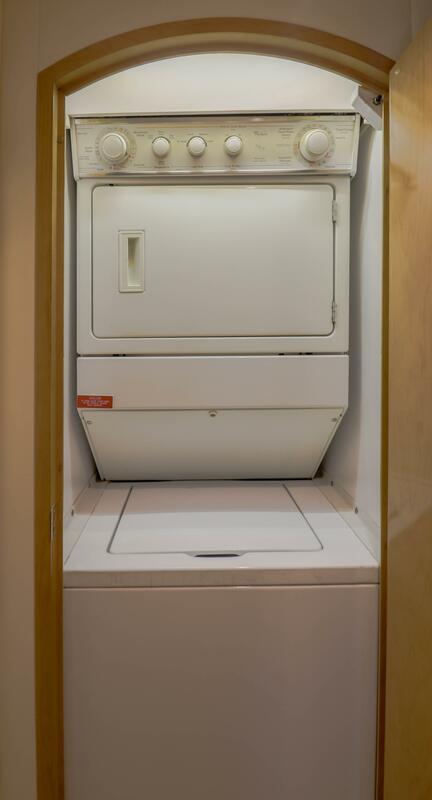 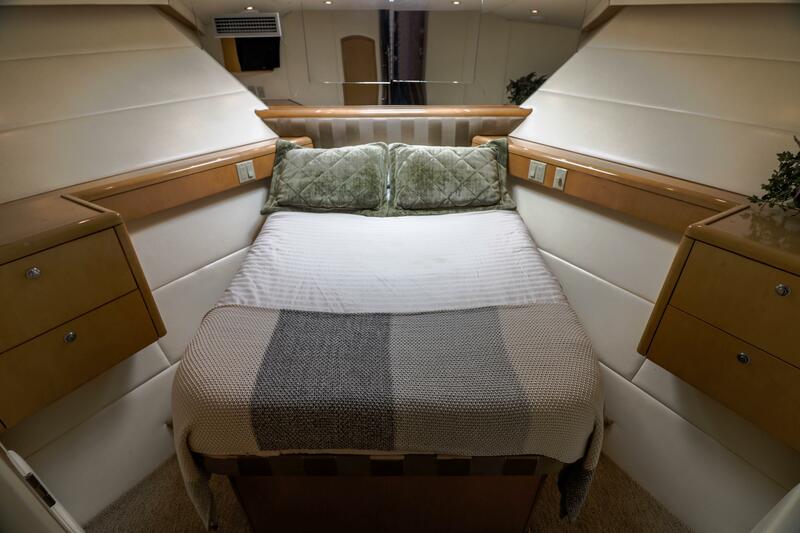 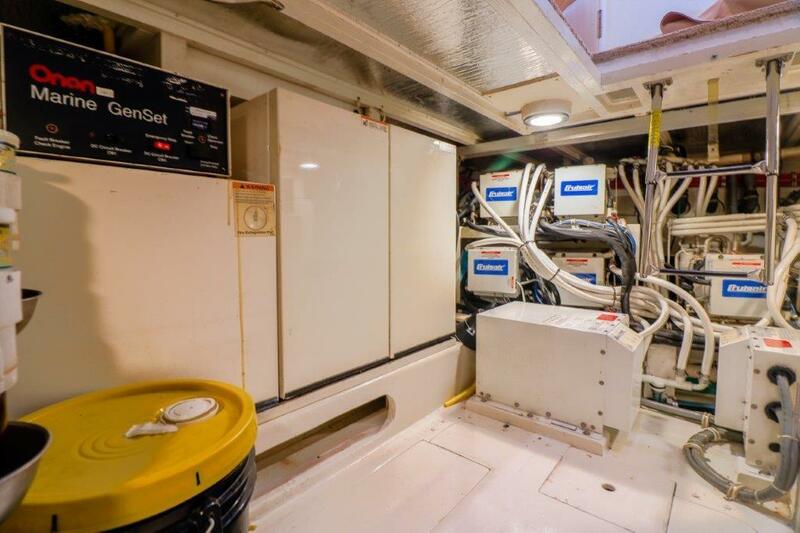 To port is a twin stateroom with over/under bunks and private head which may be used for crew. 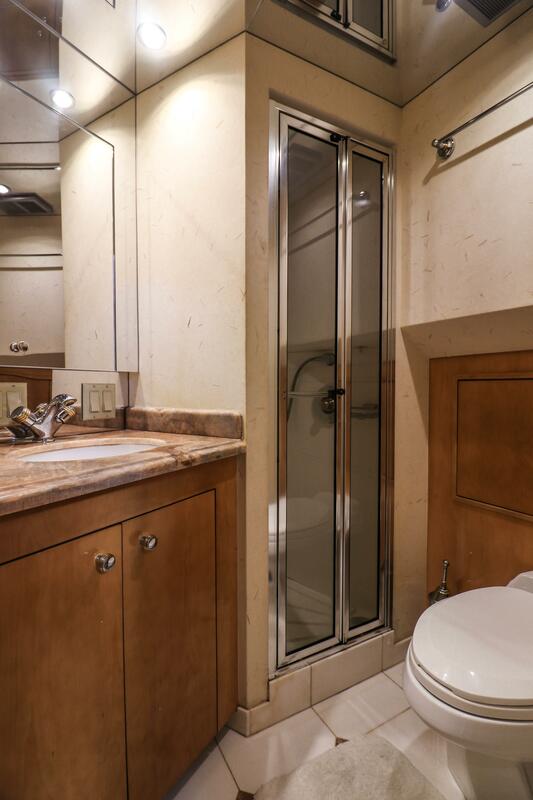 Preferred master layout with private head and a NEW 2019 custom shower.